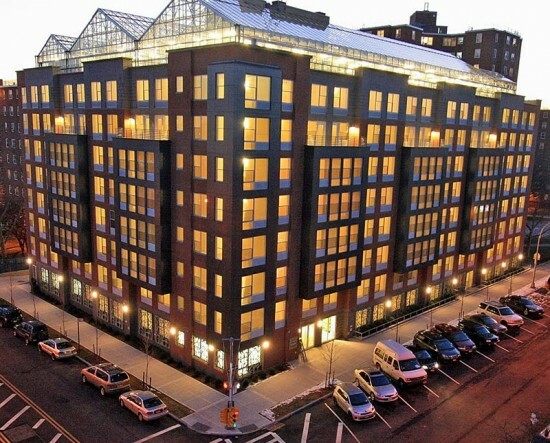 Gotham Greens, the company that currently operates a 15,000-square-foot greenhouse on top of the Greenpoint Wood Exchange in Brooklyn—is bringing its green thumb to roofs across New York City with three massive new rooftop farms in the Bronx, Brooklyn, and Queens. Soon, the biggest of the three planned farms at 60,000 square feet—among the largest rooftop farms in the country—will be built atop an industrial facility in Jamaica, Queens. The New York Daily News reported that Gotham Greens received a $900,000 grant last year from the Regional Economic Development Council (REDC) to cultivate the sprawling new hydroponic farm on a rooftop in Jamaica. 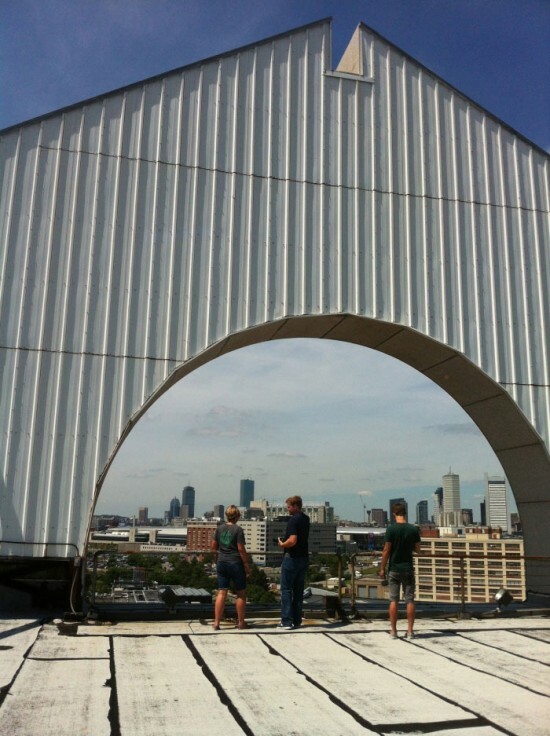 The three urban farmers behind the venture anticipate an opening as soon as 2014. The company has several new projects germinating in Brooklyn and the Bronx as well. In Gowanus, Brooklyn, Gotham Greens have been selected to operate a 20,000 square foot greenhouse atop a new Whole Foods grocery store slated to open in the fall. According to Whole Foods, the new facility will be "the nation’s first commercial scale greenhouse farm integrated within a retail grocery space." Gotham Greens will grow produce to be sold in Whole Foods stores across New York City, a move that's expected to reduce emissions from transportation and provide the freshest produce possible. 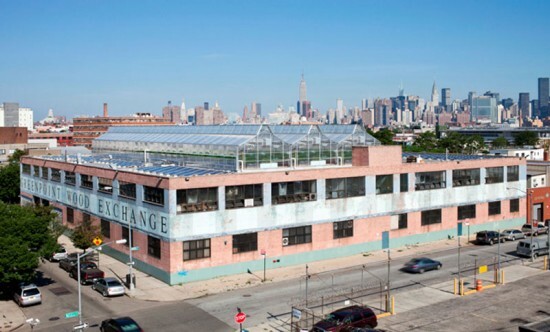 In the Bronx, the company has also set in motion plans to build another rooftop farm on top of the future Oak Point food distribution facility in Hunts Point with $400,000 in funding it received from the REDC initiative. 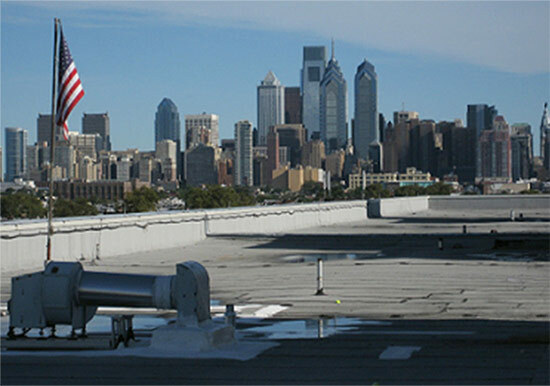 In dense cities where buildings are plentiful and land is scarce, rooftop farming is growing in popularity. Such operations provide a number of community benefits from employment to access to fresh produce. And for landlords, it comes with its perks: it is revenue producing while also reducing a building's energy consumption and rain run off. 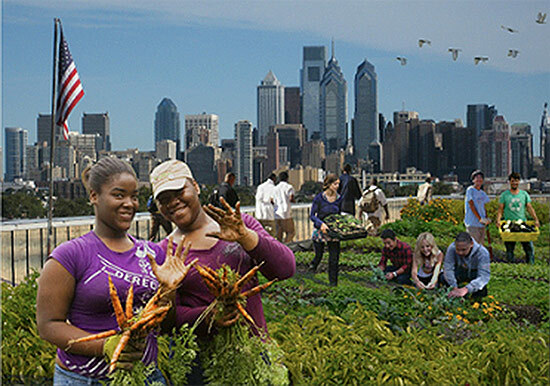 Across New York City, a number of other independent urban farms have sprung from the roofs of buildings such as Eagle Street Rooftop Farm in Greenpoint, Brooklyn; the Brooklyn Grange in Long Island City and the Brooklyn Navy Yard (currently the city's largest at 65,000 square feet), and the Sky Vegetables-run farm on top of Arbor House in the South Bronx. According to the Daily News, current rooftop space in Queens could support up to 1,100 acres of rooftop farms, with Brooklyn and Manhattan coming in at 940 acres and 400 acres respectively.